Command Runner - Command Runner users can only run commands, and only those commands to which they've been granted access. This allows an administrator to set up commands, such as reports, repair scripts, or any other script that is run repeatedly, but that requires little knowledge to do so. This makes it ideal for senior system administrators to build safe commands, and then allow users, such as a help desk, finance, marketing, or sales team to leverage those commands without requiring any further effort from the system administrator. Each type of user can also be given billing access, or the ability to set a credit card on the JumpCloud account. Only those users can change a credit card in case it expires. 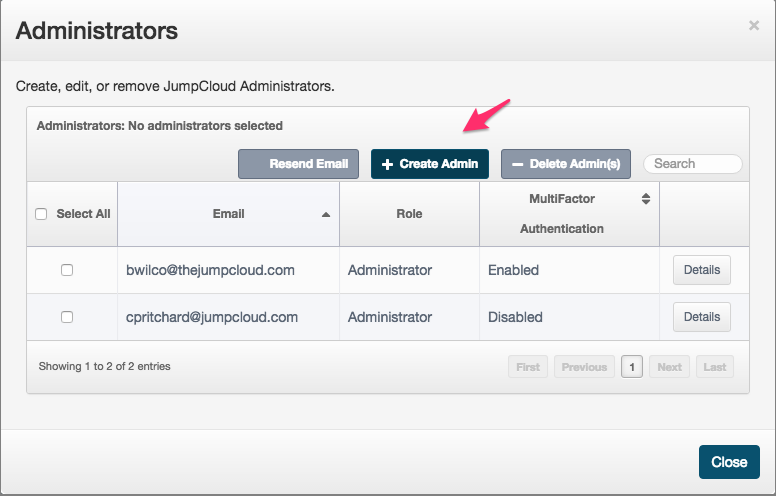 The Administrative user will be sent an email based on the email specified during creation with a link to set the initial password for their account. 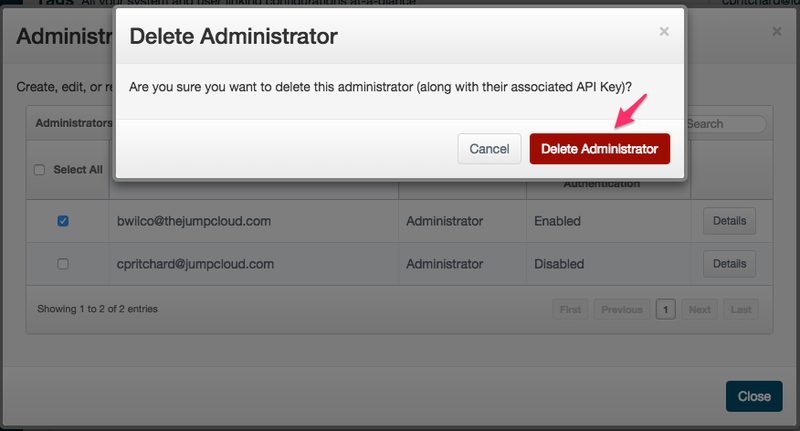 Once completed they may then login to https://console.jumpcloud.com/ as an Administrator and manage JumpCloud. 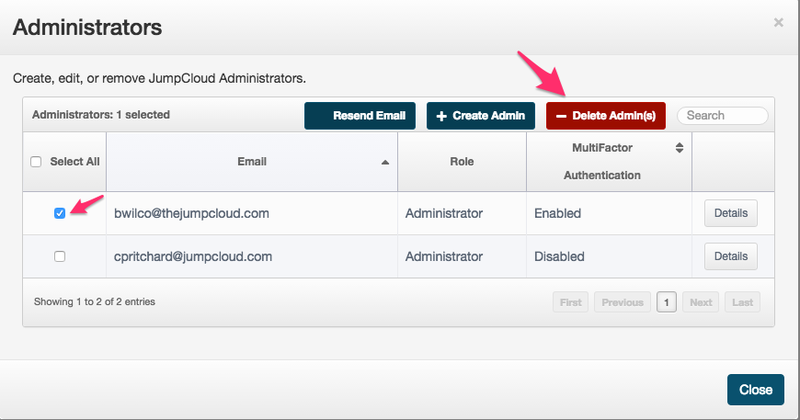 NOTE: An administrator cannot delete their own account, and there must always be at least one administrator and one user with billing access on the account (these can be the same person).